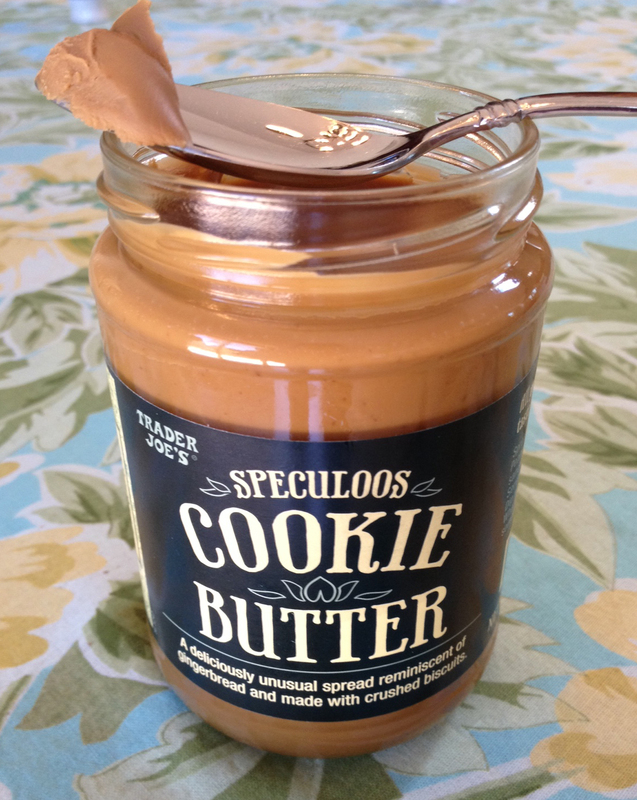 Trader Joe’s sells this incredible spread. It tastes like those Biscoff cookies that are served on airplanes, and has the texture of peanut butter. According to “The Fearless Flyer” it’s made from Speculoos cookies (Danish cookies). It is great on toast and would make a fantastic filling in a shortbread sandwich cookies. It’s even great eaten from a spoon! Have you tried this? If not, you should, and you can thank me later. Posted in Cookies, spreads and tagged danish cookies, fearless flyer, peanut butter, trader joe. Bookmark the permalink. Oh wow, I will brave a trip to Walmart to find that spread! Sounds like you are not a WM fan. Feel the same way, though butter made out of cookies is worth a trip. That said, Trader Joe’s product is likely the same thing. It’s not that I’m not a WM fan, I shop there often, it’s just a lot of effort to get through the crowds in there. I look forward to reading your recent post! Wow, usually I’m the one wanting sweets from Britain…. I was born in America and my Mom is American but my Dad is British and we live over here. We constantly want American savouries and candies but British chocolate is usually better. I want a mix of both. Cheese and tea are better in the UK, ice cream is better in the States! I think that British sweets are superior by far, I’ve never had ice cream in the U.K., I’d send some to you if I could.